My BFFs and I have this life-long commitment to food. Whenever we meet up, or travel, we make it a point to try out the local food scene and hit up a Michelin-starred restaurant or two. Sadly, while we do have a LOT of decent restos in the country, there’s an overwhelming absence of the latter in the metro. So colour us so happy to learn that Davide Oldani, chef of Michelin-starred Cucina Pop in Italy, has brought his signature affordable sit-down meal to our side of the planet and opened up Foo’d. 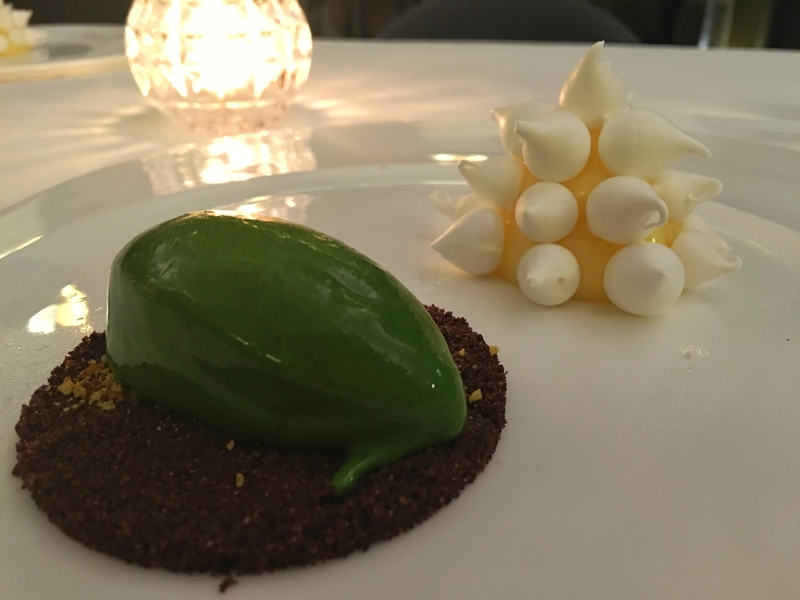 Perhaps the usual misconception about Michelin-starred anything is that they are outrageously expensive – mostly true, in my experience, but this is where Oldani’s concept differs. 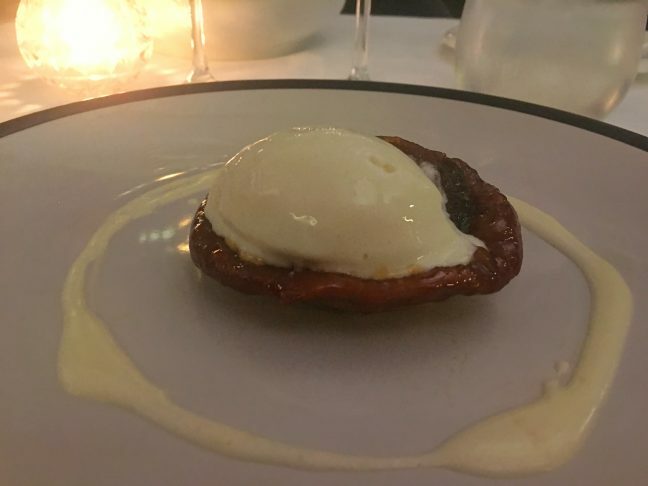 He offers arguably one of the most affordable fine dining Michelin experience you can get. Foo’d, which is located at the ground floor of the Shangri la Fort, has a very cozy ambience: plain white tables, dim lights, and soft, hushed sounds create that intimate dining feel of more pricey restaurants, minus the price tag. What I liked most is that the servers, who actually prepared each dish, take their time in going to your table to explain the different ingredients, and how it was prepared. Makes you appreciate the effort all the more. For starters, we got the Cippola Caramellata, or simply put, caramelised onions. The caramelised onions are topped with homemade gelato and hot cream. I’m a bit fan of anything with onions (I can survive on French onion soup and onion rings) and I loved the softness and sweetness of the onions. I am just not too sure though if I want my onions with my gelato in the same meal, and as starters at that. Next on the menu was Cacio e Pepe, which looked kind of deceiving as it was almost all white save for the tiny dots of freshly cracked pepper (the dim lightig didn’t help) – I almost thought it was just the pasta and pepper! Digging in, there’s Pecorino Romano cheese, horseradish, and hints of lemon. For our third course, we ha Iberico pork ribs with porcini sauce and liquorice. This one, I absolutely loved – loved the meat and the just right richness and earthiness the porcini sauce. Okay, I am a big dessert person and when they placed this plate of lemon curd in front of me, I went through different emotions: one was of the “OMG this is too pretty to eat” variant, courtesy of the perfectly sculpted meringue, second was more along the lines of “what the heck is that green tadpole-like thing.” After that, it was a dilemma of which one to dip my dessert spoon into first. I enjoyed our Foo’d trip (see what I did there?) not singularly for the food, or the ambience, or the service, but the totality of the experience. And I am beyond happy that Pinoy foodies like me now have a growing option right in our backyard.